It’s kind of hard to dismiss Denzel Washington movies, because he’s essentially a hero for multiple generations of fans. We’ve seen him play multiple roles and are still wondering how he doesn’t have as many accolades as he should (yes, I’m still confused why he didn’t win for Malcolm X). This movie came out pretty randomly and I didn’t know a lot about it except for the fact that he was going around cleaning up messes like the good guy in old western movies. There wasn’t a lot of backstory behind it, but that’s why we watch movies, folks. 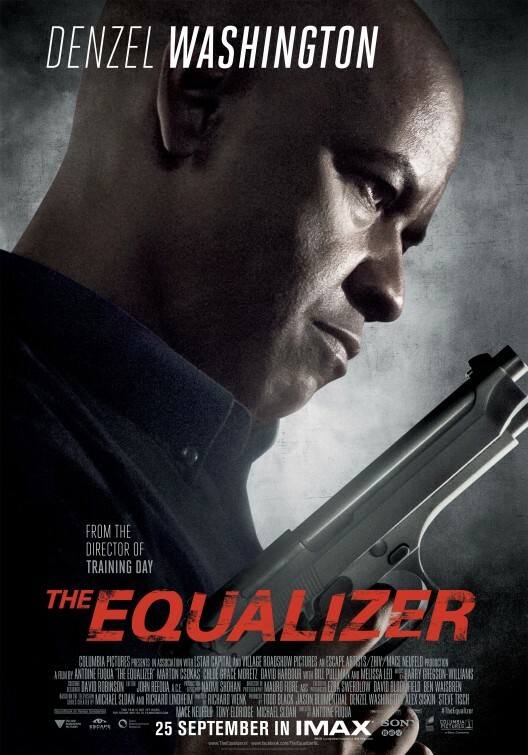 What this movie reminded me of was a mix of The Punisher & Man on Fire, because Denzel takes on that bodyguard role for a vulnerable young girl with mob ties around it to add that extra kick. You see him in a different light as well when it comes to the action that rivals Transporter and mix in the military influence that is the CIA (Bourne-ish?). There wasn’t a lot to focus on, because Denzel appears as a simple man trying to lead a simple life, but he still has his ear to the street in terms of who needs the help. The story turns from a simple act to having the influence of an influential mafia getting involved in a mini-war, in which Denzel plays the one-man army.